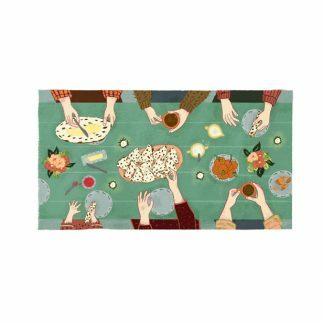 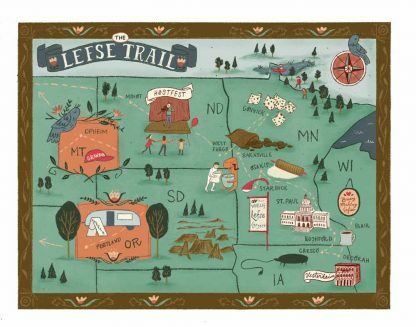 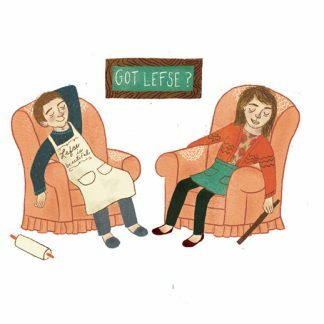 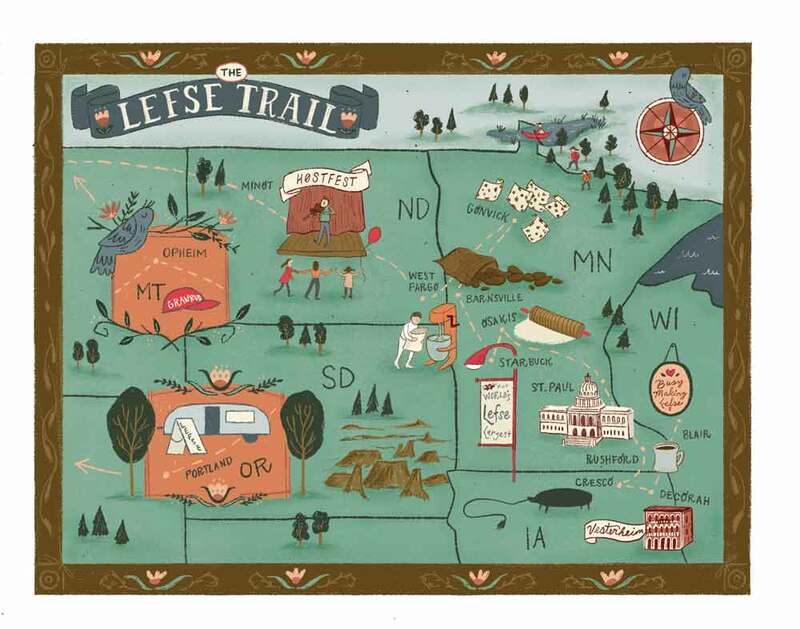 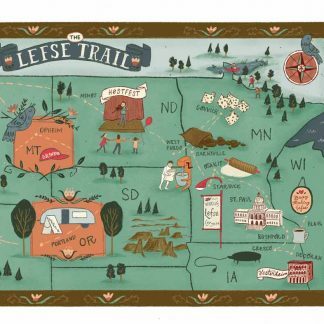 Color print of the newly discovered Lefse Trail, which winds through six states and includes 13 stops at lefse factories, museums, and festivals. 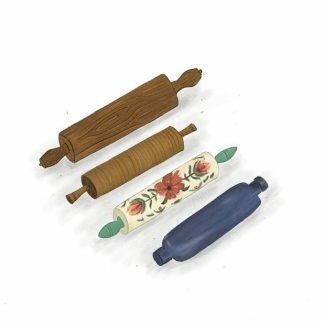 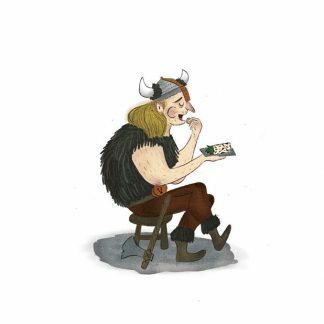 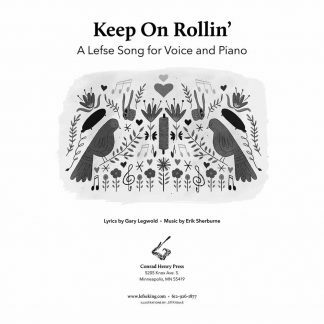 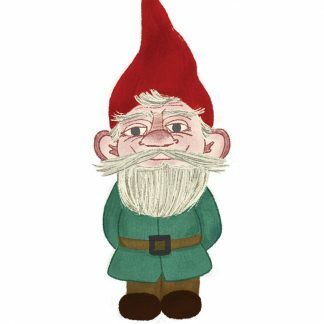 Illustration by Jill Kittock, from book Keep On Rolling! 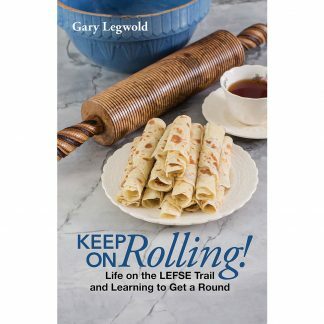 by Gary Legwold.